· Lift all restrictions on transactions related to the travel of family members to Cuba . 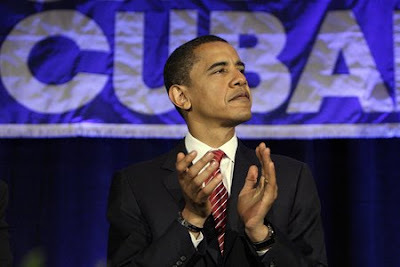 · Remove restrictions on remittances to family members in Cuba . · Authorize U.S. telecommunications network providers to enter into agreements to establish fiber-optic cable and satellite telecommunications facilities linking the United States and Cuba . · License U.S. telecommunications service providers to enter into roaming service agreements with Cuba ’s telecommunications service providers. · License U.S. satellite radio and satellite television service providers to engage in transactions necessary to provide services to customers in Cuba . · License persons subject to U.S. jurisdiction to activate and pay U.S. and third-country service providers for telecommunications, satellite radio and satellite television services provided to individuals in Cuba. · Authorize the donation of certain consumer telecommunication devices without a license. · Add certain humanitarian items to the list of items eligible for export through licensing exceptions. Supporting the Cuban people’s desire to freely determine their future and that of their country is in the national interest of the United States . The Obama administration is taking steps to promote greater contact between separated family members in the United States and Cuba and increase the flow of remittances and information to the Cuban people. · Removing the 44-pound limitation on accompanied baggage. · Establishing general license for banks and other depository institutions to forward remittances. We will authorize greater telecommunications links with Cuba to advance people-to-people interaction at no cost to the U.S. government. This will increase the means through which Cubans on the island can communicate with each other and with persons outside of Cuba . · License U.S. telecommunications service providers to enter into and operate under roaming service agreements with Cuba 's telecommunications service providers. · License persons subject to U.S. jurisdiction to activate and pay U.S. and third-country service providers for telecommunications, satellite radio and satellite television services provided to individuals in Cuba , except certain senior Communist Party and Cuban government officials. · Authorize, consistent with national security concerns, the export or re-export to Cuba of donated personal communications devices such as mobile phone systems, computers and software, and satellite receivers through a license exception. · Increasing the value limit on non-food items to $800.